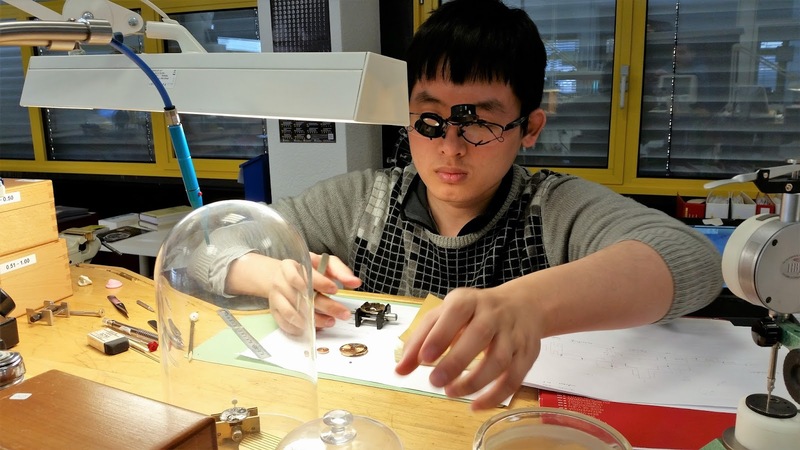 Throughout the week the students continue to work on their school watches. Shuai and Eddie have started on their designs, Eddie has even started to make some prototype parts such as the barrel cover and drum. 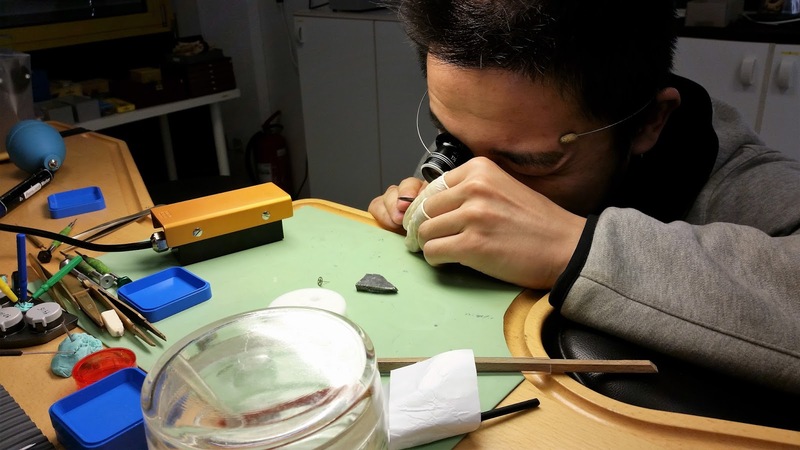 Shuai has been taking down measurements and designing his watch, still undecided on some specifics of the movement. Tomas begun production of his pallet fork and milled out the spokes for his tourbillon. Theren finished his balance bridge and pallet fork bridge and is focusing on the completion of the main movement now. Simone finished all the finishing on his school watch and will start to assemble and adjust the chronograph next week. 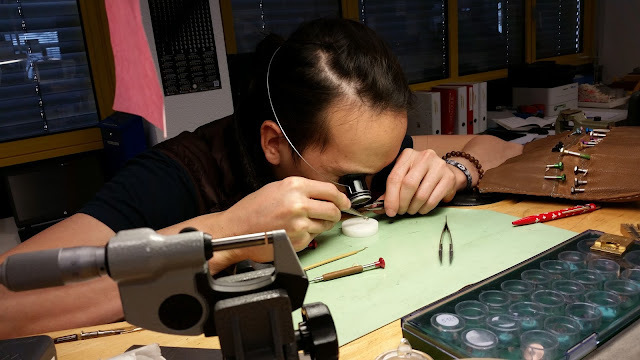 Although the school is focused on classical watchmaking, quartz is still something the students will need to know for their future careers in watchmaking. The students learned how the quartz watches work and how to analyze them for the different types of errors that may occur in the quartz and what they can do about it. 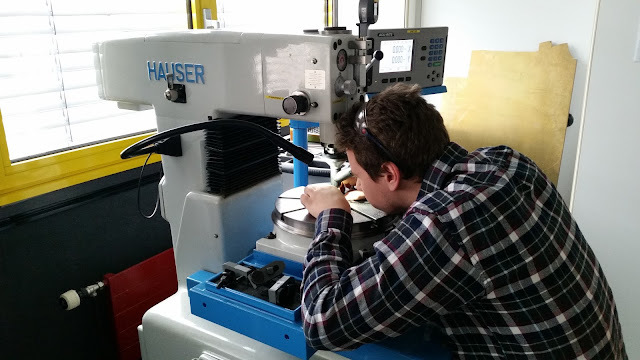 By using the Witschi Analyzer Q1 we are able to see very detailed information about the workings of the quartz watch. In the end, quartz watches are also very interesting and have their own appeals. 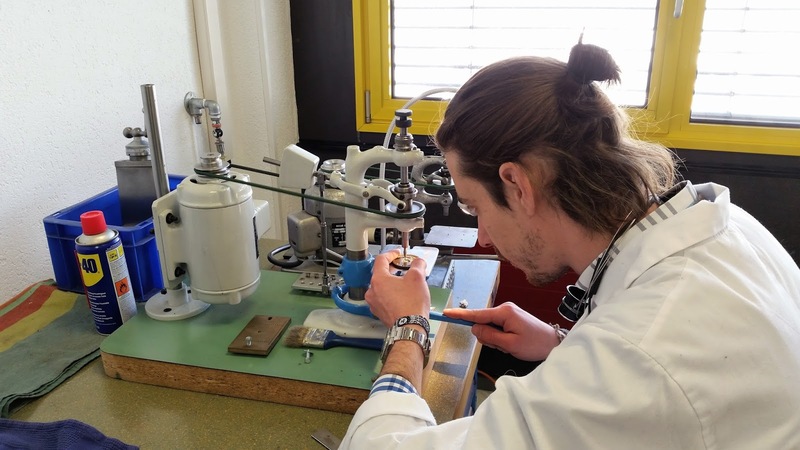 This week the students learned how to bend the long awaited Breguet Overcoil. The Phillips Terminal Curve and Breguet Overcoil is used to overcome the Caspari effect, which is one characteristic that affects isochronism. It is considered a higher skill to be able to bend an overcoil since it is not so easy and it affects time keeping greatly. 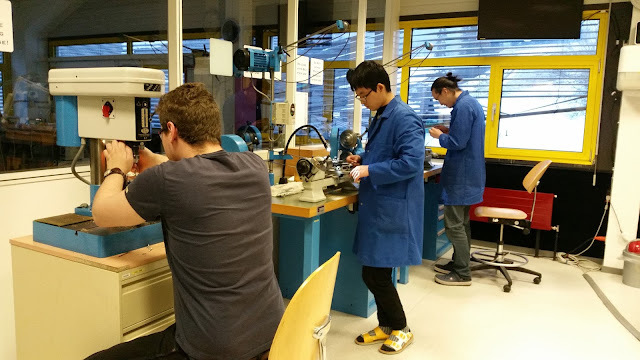 Besides learning about the Breguet hairsprings the students continued to work on their seperate projects. 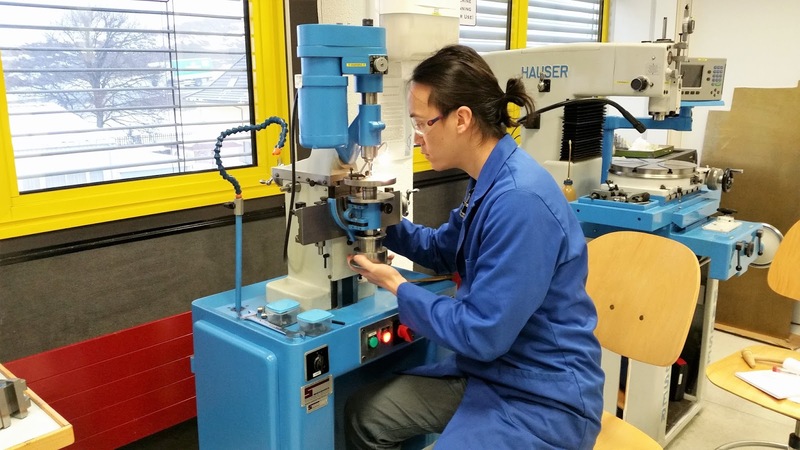 Shuai finished the restoration of a Valjoux 72 and is now working on a second one. This time he had to make a new chronograph seconds hand tube. Eddie continued on the design of his school watch while finishing some timing exercises at the same time. Theren made some bridges for his jumping second mechanism and is now starting to make the pallet fork bridge and balance bridge. Simone tested out different types of finishing in preparation of decorating his school watch mainplate. He has tried circular graining and côtes de Genève and will continue to test in the following week. 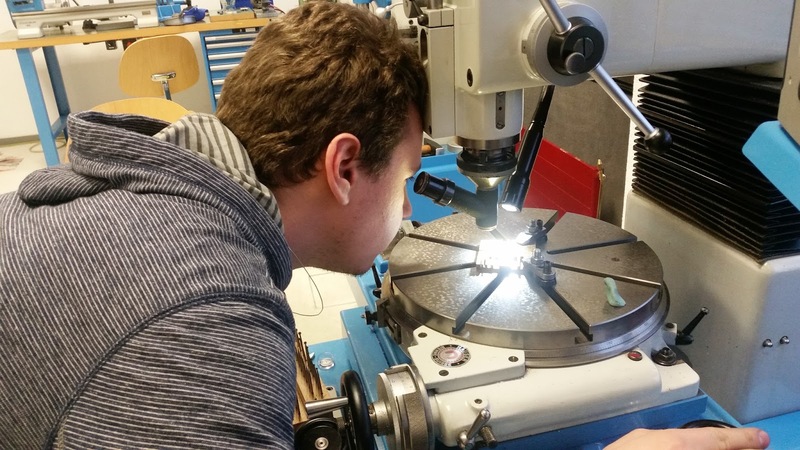 Tomas made the fixed fourth wheel for his tourbillion and is getting ready to make the pallet fork next week.